The Dowanhill Bar has been around for many years. In 1899 Andrew Wotherspoon was landlord paying an annul rent of £80. 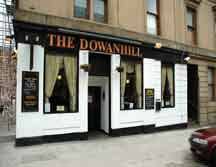 The Dowanhill Bar sits proudly at the corner of Dowanhill Street and Dalcross Street formerly known as Buchanan Street. To read more on the interesting history of this pub Click here.